The Open Championship is truly an open event. All golf tournaments should be like this! 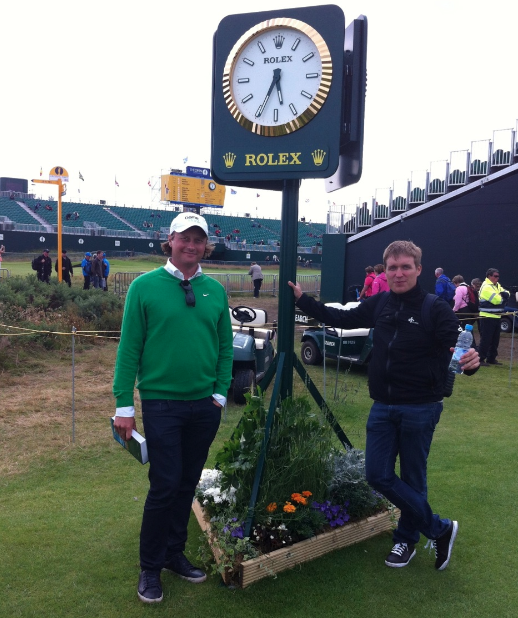 We just arrived back form The Open Championship 2012 and will together with Mikko Rantanen share the experience with you. Here the first post from me – about how impressing it was to see that this huge golf event somehow manages to be reachable, exactly as it should be. If you are a keen golfer and have never been at The Open Championship, you are definitely missing a great golf experience. 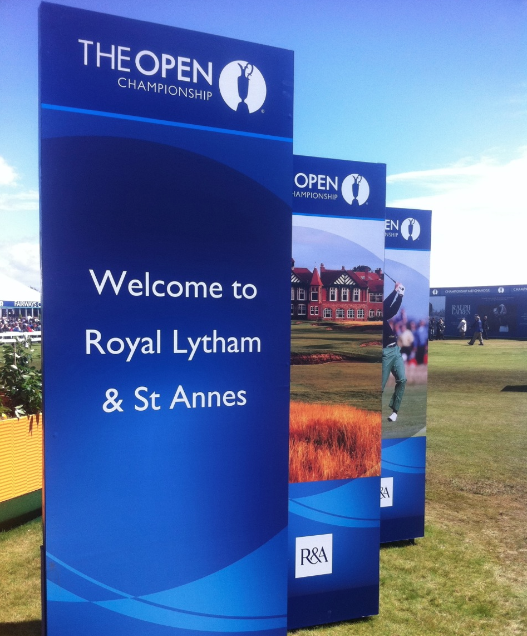 You might be surprised by how accessible The Open is for the general public and how easy it is to make travel arrangements – even as little as a few weeks or days in advance. We booked our flight tickets from Helsinki to Manchester just a couple of weeks in advance. There were hotel rooms available close to the legendary venue in Preston as well as Blackpool – reasonably priced. Rented a car and getting to course was fairly simple, keeping in mind there were “a few” others doing the same. I must say that the “openness” of The Open was awesome to experience. For example, compared to the US Masters where it is not even possible to get tickets for the tournament rounds, The Open is truly “open” for anyone to visit and enjoy. The organizers are doing things right – golf events should be easier to access and enjoy. Close to the Claret Jug – unfortunately only a picture version. A beautiful piece. Planning to participate next year? So, if you are thinking of doing this next year, here are few tips. We strongly suggest having some sort of a GPS device to find your way around the small roads in the UK. We used iPhone Maps as the car rental was out of GPS units. Everything worked great, but indeed, Mikko needed to pay close attention while I was driving – we never got lost once, couple of wrong turns only. After following The Open on Thursday morning, we were fortunate to have a chance to play a fine links course, Formby Golf Club. Numerous sand dunes and fine pinewoods. Those of you who know me are aware of the fact that I love challenges, so my only disappointment was that there was hardly any wind to make it more challenging. Yes, that is something you expect on every round on a links course! You should definitely go and experience the links, but make sure to make your bookings well in advance especially if you want to play one of the more famous courses. And finally, not surprisingly, stay away from the HEAVY roughs and DEEP pot bunkers. Cloudy Day at Formby Golf Club. Kimmo Ekroth from Golf Digest Finland (and Golfpiste) was kind enough to spend time with us, introduce us to many of his connections in the golf industry, and share his wisdom about links golf and The Open Championship. Appreciated, thanks Kimmo! Lots of interesting people and enjoyable discussions, leading to many good ideas and lots of learning. While we had to travel back to Finland already on Friday, Kimmo stayed to play more links golf with good friends and follow the final round of The Open at Royal Lytham & St. Annes. Lucky man! The day at the races: Mikko ‘Mane’ Manerus with Golf Digest Finland’s Kimmo Ekroth. Will share more stories from The Open Championship later on. Play well!